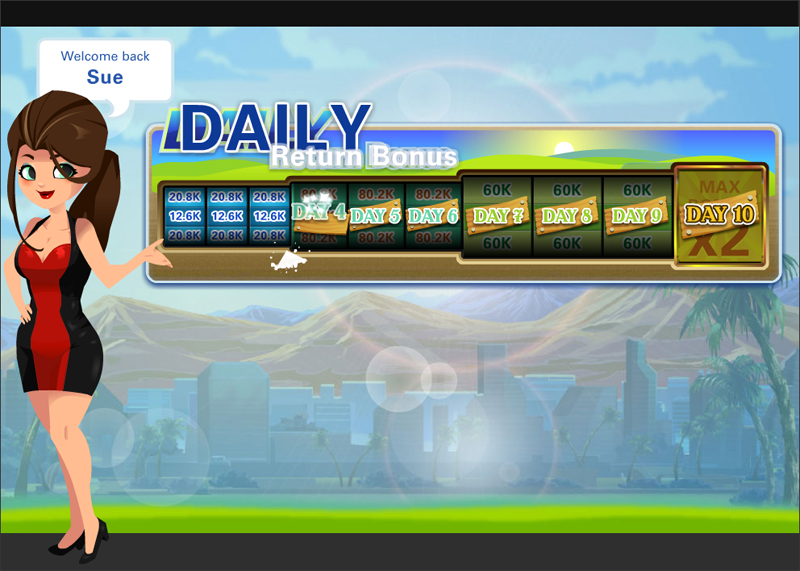 A new way to earn coins will be added to Vegas World soon - Daily Return Bonus. The process is simple. Login in and receive coins. Each day the bonus will increase. If you miss a day, you have to start over! Please be noted that the values of each day's bonus in preview above will not be the same upon release.